You are able to choose from cozy double rooms, for single or double occupancy. All rooms have attached bathrooms with hot water and Wi-Fi access. Three Vegetarian Meals per day will be provided. Nearby local market, restaurants, and trekking routes to the peaks and waterfalls. ​- Tution Fee, transfer to/from Dharamsala airport, accommodation, yogic food, course Materials such as Kriya Kit, Yoga Notebooks on Philosophy, Asana, Pranayama, Kriya, Sanskrit, Philosophy, Anatomy, Business of Yoga, Sequencing, Mantra Chanting and more. Includes: Course Fees, Materials and Workshops. There are no scheduled courses for Sundays. 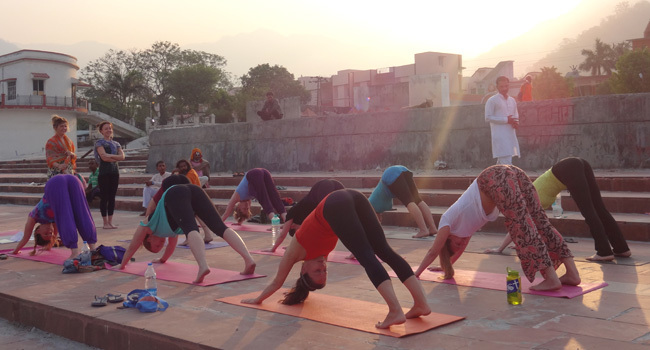 Program sessions will include philosophy, yogic lifestyle, anatomy, art of studying, art of teaching, teaching methodology, techniques for postures and pranayama, adjustment and alignment and sequencing. The journey to become a yoga teacher starts with establishing a personal practice, a dedicated study of the ancient wisdom of yoga sutras, and applying their core principles in your life. 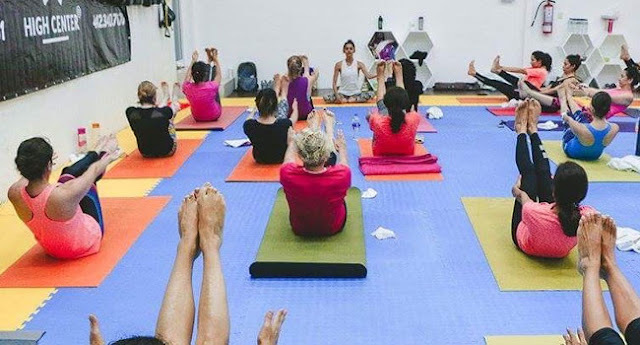 Yog Nisarga’s 200-hour residential Hatha & Ashtanga Vinyasa flow yoga teacher training program will help you to build a strong foundation and to deepen your practice. 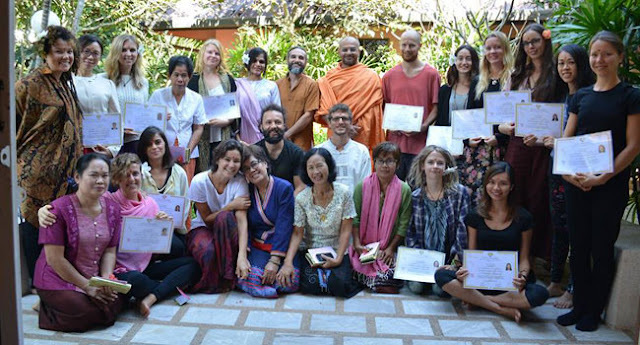 The course is officially recognized by Yoga Alliance USA and Yoga Alliance UK. Learn traditional yoga from Indian yoga masters and teacher in Thailand. 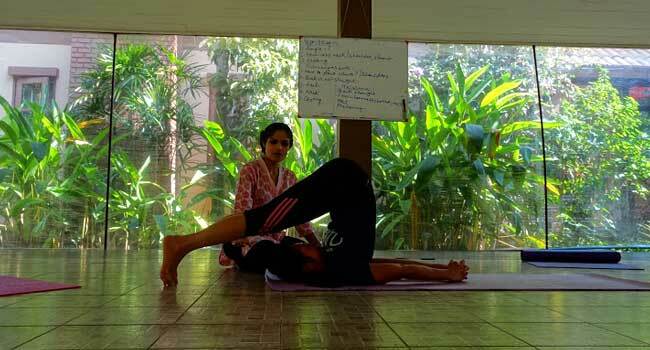 We allocate each student a clean and comfortable accommodation that is inside the yoga school. Accommodation is on a single occupancy basis, but if you are coming with a friend or a partner, for a small additional fee, you can be given a double room. Room availability near the yoga school is on first-come-first-serve basis. If you plan to arrive a few days before or wish to stay few days more after the course ends, let us know so we can reserve the room for you, depending upon availability. You are responsible for the extra nights accommodation fees. It was a very nice experience of joining Yog Nisarga for the 200 hrs Yoga Teacher Training by Prem Sandip and Sukhvinder in Phuket Thailand. Our accommodation and the Yoga training hall was arranged in CC's Hideaway Hotel,it's so convenient for us to attend the class without spend too much time on the road.The food was very delicious and different everyday,the room was clean and comfortable,I will be back again. Our teacher Prem Sandip and Sukhvinder,they are so kind and experienced.They took care of every student,corrected our mistakes,and answered our different questions patiently.They taught us from the heart instead of from the mind. 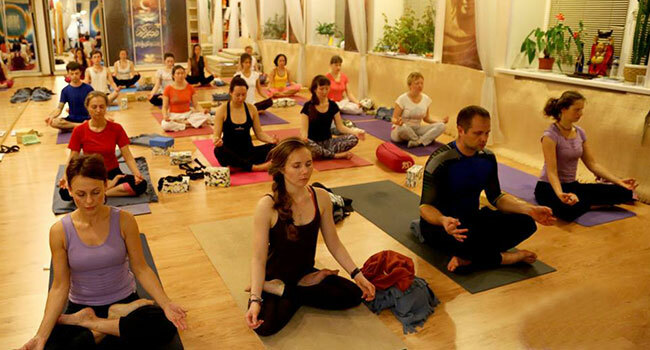 The course is wonderful and comprehensive,it includes Yogic History and Principle,Anatomy and Teaching Skills ,it made me know about yoga more deeply and feel confident,help me a lot in my teaching road. Attention: - Anyone can join the 300 hours Teacher Training by attending first a 200 hours course. - If you are planing to attend this course please send us application for the 200 hours course. Yoga Guru Narender Arya is very much into Yoga research and participates in different seminars and events related with yoga. He has participated in Yoga for Youth, National Yoga Week. He has also attended Yogathon Event in Bengaluru. It is important that the learning be in a basic yet comfortable environment that stimulates optimal learning. Ajarya has made special arrangements for nice accommodation in a budget hotel. The rooms are clean and with attached Western Style bathrooms. Running water is provided and hot water is available. We have arranged for accommodation at special prices keeping the best interest of students in mind. The main teacher was extremely open to our suggestions and took them into consideration whenever possible. In one occasion I suggested that it would be good to study the Bhavgabad Gita and within 24 hours he organized a fabulous teacher to come in and talk to us about the it. This class was hugely inspirational for me and I would always be grateful to him for that. I have also learnt a lot from his humble approach and respect and love for yoga. 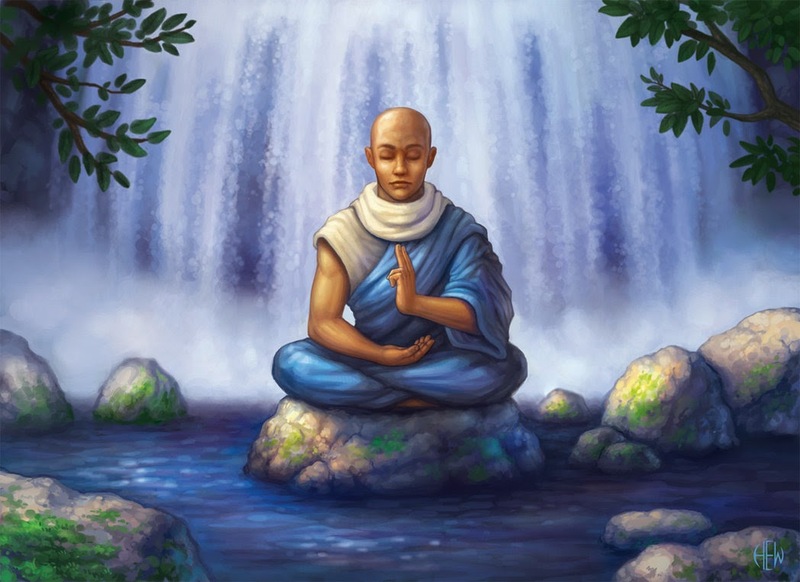 The pranayama and meditation teacher, was very inspirational for me also. I have learnt not only simple techniques of pranayama and meditation, appropriate to my level of experience, but more importantly I have learnt how important it is as a practice and it will now form part of my daily yoga practice alongside asanas. The ‘visiting’ teacher we had for the Gita was incredible, a gem really. I would be amazing if he can be employed, alongside Lead Teacher, to cover some of the areas of the course relevant to yoga philosophy. The setting of the course was excellent. The staff at the hotel is really nice, food is ok, and the yoga shala is good also. It has being a great experience for me as a whole to stay in Rishikesh for 4 weeks, and hope to get the chance to came back in the future. Thank you. This course was excellent. I learnt a lot and really made me realize the importance of a good health. after this i will use yoga in my daily life. I am very greatful. Thank you so much. I am sure your academy will go from strength to strength. I think you did an amazing job. Thanks to our teachers for an experience, i will never forget. I loved learning the pranayama and will continue to do this every day. It has helped me with feeling more focused and grounded. "All of these were taught, but I think they could have been emphasited and practiced more. Much of The adjustments, safety application were left to the students during afternoon sessions." "Great well-integrated and rounded program. Very good balance in teaching of the different yoga aspects & practices. Good facilities. Lovely upstairs hall ! good food and accommodation. Very patient, caring and wise teachers.